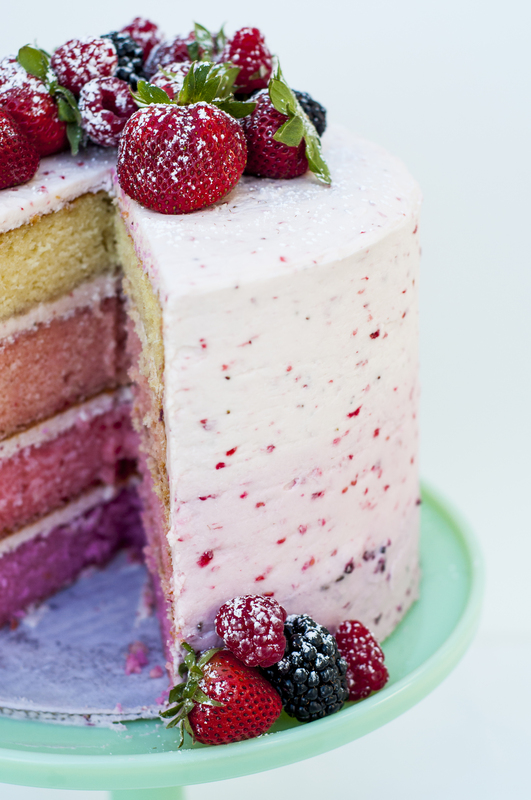 I’ve gotten such a great response to the pictures that I’ve posted about this triple berry ombre cake! It really did turn out beautiful, which is largely due to all the berries. If you even want to class up your dessert fast, go with berries for the win. They are so simple and elegant and appetizing, you can’t go wrong. 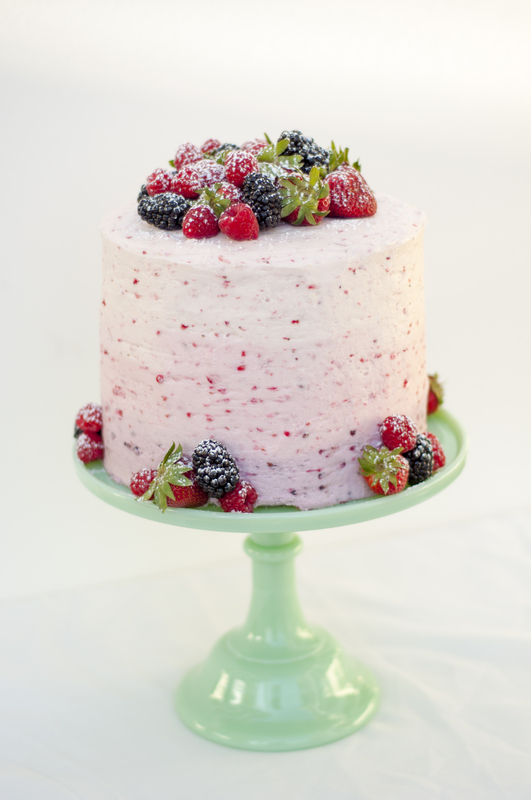 This cake was made with my classic white cake batter and three different buttercream frostings make with blackberries, raspberries and strawberries. I wish you could all taste the fresh buttercream! There’s really nothing better. I always use real butter and pure extracts in my frosting and try to keep them from getting too heavy so that they really are treat on the top of the cake, and NOT the part you scrape off because you’re drowning in it. I’d like to figure a way to put it on my menu, but I’ll have to make some changes to it first. I mean, I could bake this cake for exactly the way that it’s pictured, if you’d like one, but it was really a massive cake. There was literally enough cake to serve up to 50 people… and it costs a lot to make a gluten free cake that large. I’ll need to work on the proportions and try to get it on my menu. I will also be trying to offer other ombre layer cakes with classic buttercream on my menu. If it is something that you are interested in before I get all the details listed menu and pricing page, please got ahead and contact me directly. < Previous Well, hello there!